If you have been following my blog recently then you know I have gone back to looking at my Harrison family line. Simon Harrison was my 3rd great grandfather on my mother's side. For a recap on his life you may want to check out this post: What I'm Reading Right Now: Crafting Lives --By Catherine W. Bishir. 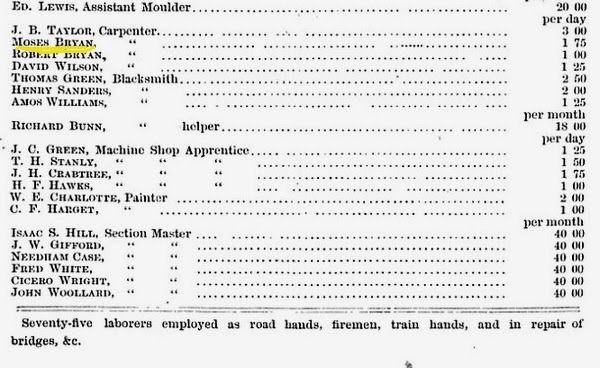 One of the things I highlighted on that post was Simon's occupation on the 1870 Federal Census which was listed as "watchman." What was he watching? Hmmm. Google to the rescue. 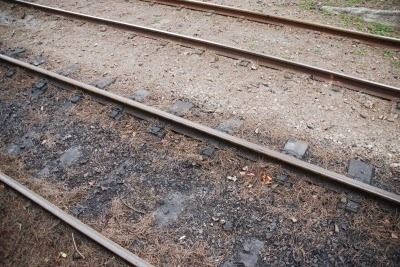 Simon was employed by the Atlantic & North Carolina Rail Road Company. He earned $40.00 per month for his work as a watchman. 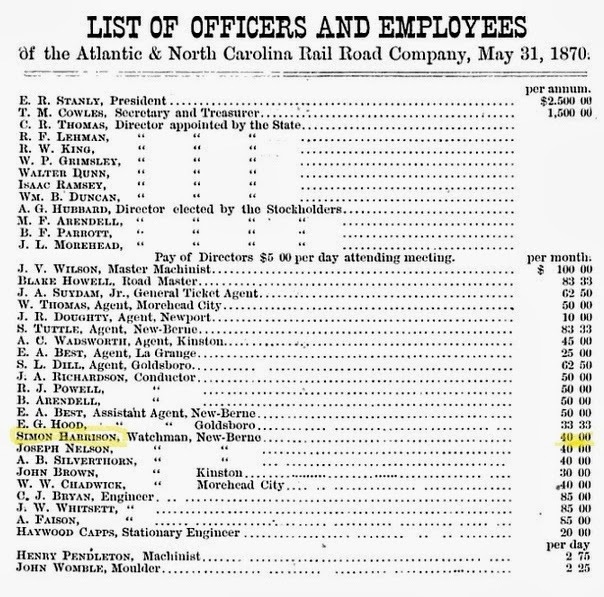 It turns out that Moses Bryan, a member of the United Brotherhood Society like Simon, also worked for the railroad. So now I have a bit more to work with on Simon. Time to see if I can find out more about the railroad company he worked for. Image courtesy of A New Bern Album: Old photographs of New Bern, North Carolina and the surrounding countryside by John B. Green III. Photo from the John A Clark Jr. Papers, East Carolina Manuscript Collection. 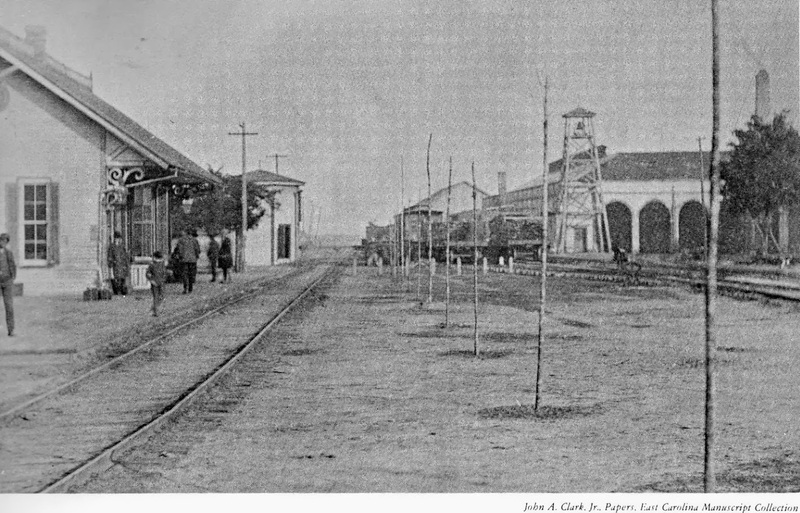 Picture circa 1890.